Caffeinds’ 2014 release, the ‘HeeBee GB’s EP’, was an unpolished affair, but there was no denying it was a recording made with love. It was rough and ready, as you’d expect something DIY to be, but above all, it was fun. It didn’t get a lot of attention within punk circles (certainly not on a big scale at any rate), but that didn’t stop the band trucking on. 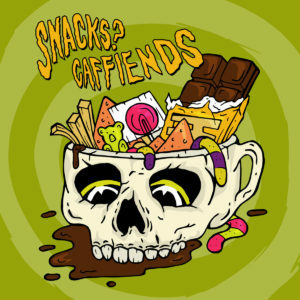 That same year’s full length release blended influences from Screeching Weasel and the Misfits in such a way that you couldn’t help but like it – warts ‘n’ all – while 2015’s ‘No Gods, No Decaf’, with an increased recording budget and a bratty attitude, was their best work to date. With each release, it’s been possible to hear Caffeinds making a necessary leap forward. Whether conjuring memories of ‘Surrender’ by Cheap Trick – the song from which this US band have taken their name – or Manic Street Preachers’ deliberately provocative 1991 single ‘Motown Junk’ (how many bands would dare to snipe “I laughed when Lennon got shot!” in little over a decade since the former Beatle’s assassination? 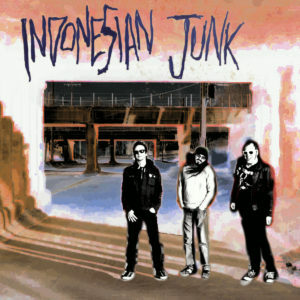 ), there’s something edgy and exciting about the word junk. Whether meaning trashy or the slang for heroin, it has a certain connotation. However, Indonesian Junk really aren’t as spiky or as confrontational as their chosen moniker suggests. For this Milwaukee based trio, it’s all about the relatively lo-fi, the fuzzy guitars and a general noise rather than any actual sharp edges, either musically or lyrically. The Canadian alt-folk/alt-pop outfit The Franklin Electric will be back in London next month for a low-key show promoting their second album, the 2017 release ‘Blue Ceilings’. The London show follows a short run of dates across Germany and a trip to The Netherlands. Prophets of Rage, the critically acclaimed union between members of Rage Against The Machine and Public Enemy legend Chuck D will release their eagerly awaited full length debut next month. For those who can’t wait that long for new material, there’s some good news. A new video for ‘Radical Eyes’ has been posted online and can be seen in full below. In June 2017, The Orwells played at the British Summer Time event at London’s Hyde Park, alongside Green Day, Rancid, Bash & Pop and more besides. This coming weekend they’ll be appearing at the Reading and Leeds Festivals (August 25-27, 2017). Later in the year, they’ve secured support slots with both Weezer and the legendary Pixies. It’s certainly a busy time for the Chicago based band.